My kids and I love playing outdoors all the time. We live close to a park, so practically every weekend we are all out there, riding bikes, playing games, or just hanging out on the grass. My oldest loves to ride his bike, but my daughter is at an age where she’s too young for a bicycle but still old enough to want to go fast. For that reason, I decided that I would get her a scooter. When I first looked at scooters, they were all for kids ages eight and up. Thankfully, however, I found a whole assortment of models that were designed for toddlers, meaning that my little princess could ride to her heart’s content and wouldn’t be left behind by her brother. Scooters for Toddlers are not only fun for your children, but it helps them to learn how to balance, as well as control themselves while in motion. 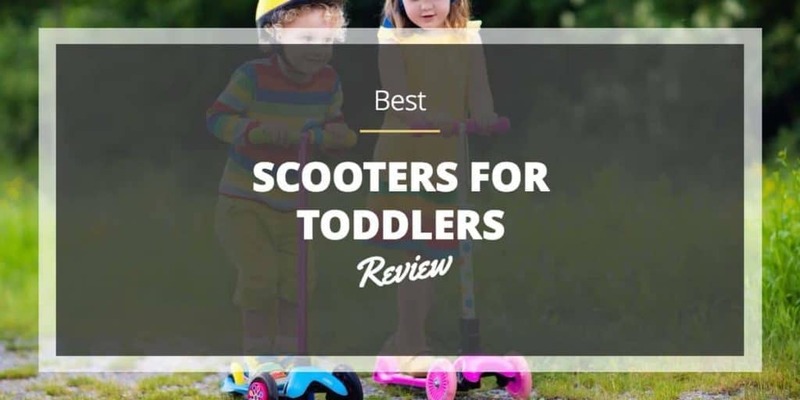 In fact, having your toddler learn to ride a scooter can help him or her learn to ride a bike later, as he or she already has the basics of balance mastered. 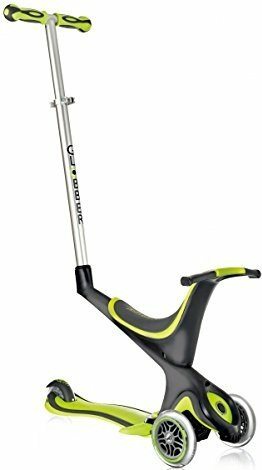 With that in mind, here are five scooters that I found that are perfect for young children. Our first stop is the Globber Five in One. When looking at scooters for kids, I found that there were two primary types: standard and convertible. If you want your child to learn more easily, or if he or she is nervous about riding a scooter at first, then I would highly recommend getting a convertible model, as it can be used as a push scooter before they learn to ride it solo. What I like about this model is that it has a durable steel frame, meaning that it is built to last and will grow with my daughter as she gets older. When your child is young, you can use it as a rider. As he or she ages, you can convert it so that your kid can start to push his or herself with ease. Overall, this is a perfect 3 wheel 5 in 1 convertible scooter for your children, as it will adapt and adjust to meet their needs. Next, we have the Rimable Baby Kick Scooter. This is another convertible model, but the biggest difference between this and the Globber is that this frame is made of plastic, not steel. Nonetheless, the material is still sturdy and will hold up well. Converting it from a rider to a scooter is a bit more complex, but it’s still a breeze. What I like about this model is that the seat attachment has a basket in front so your little one can take his or her favorite toy along. As with all convertible models, the Rimable is designed to grow with your child as he or she gets older. Not only can you adjust it to switch from a rider to a kick scooter, but the seat and the handlebars are fully adjustable to match the height of your kids. Also, the wheels on this model are designed so they won’t scuff up your floor, meaning that you can use it inside or outside. When it comes to scooters, no one is as synonymous with the product as Razor. 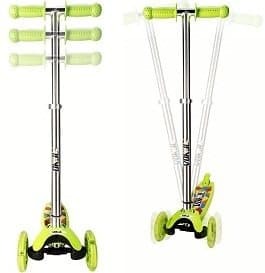 With that in mind, the Folding Kiddie Kick Scooter is something of a gold standard for toddler scooters. Although it is not a convertible model, it is still an excellent way to have your kids move around. One thing that you have to keep in mind with this particular example, however, is that the wheels are not as smooth as a traditional Razor Scooter. Your child can still move around easily, but they won’t have the same level of drift as with a model designed for older kids. Nonetheless, it’s a fantastic option for toddlers and little kids alike. I also like the fact that it folds in half, as most toddler scooters don’t have that option. Next, we have the Mini Micro Scooter. This is a fairly basic model, which means that if you want something quick and easy for your child to ride around in, this will be your best option. 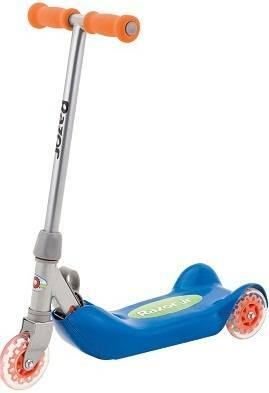 I would highly recommend this for kids who like to ride in the house, or for parents who are on a budget. 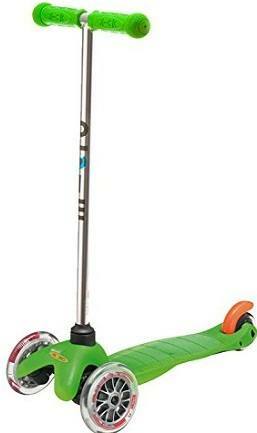 Notable features of this mini kick scooter include the brilliant coloring, the lightweight design, and the adjustable soft-grip handlebars that meet your child’s needs, no matter his or her age. Finally, we have the ﻿﻿Vokul ﻿﻿VK-1281F Mini Kick Scooter. This is a similar model to the Mini Micro above, in that it is a basic design that is perfect for indoor and outdoor use. The frame is made of durable molded plastic, but the handlebar is made of steel for better control and to ensure that it will last longer. 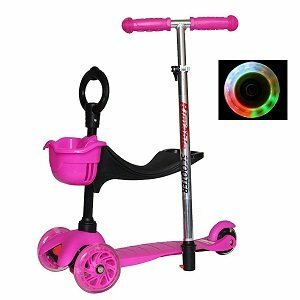 What I really like about this mini kick scooter is that it has light up wheels and it comes in five different colors. That way, you can customize the look to meet your child’s personality and style, making this an ideal birthday or Christmas present. The bar also adjusts to your kid’s height so that he or she can ride comfortably. Although most of them are similar, there are a few important factors that you will need to look at before you make your decision. As I mentioned, you have two primary options for toddler scooters. You can either get a model that converts from a rider to a kick version, or you can have a standard unit that won’t allow your kid to sit down. Depending on the age of your child, you may need to get a convertible unit so that he or she can ease into the process, much like riding a bike. Another highly important feature that you should look at is the amount of wheels. For young kids, three wheels are a must so that they don’t have to balance so much. However, the trade-off is that once they do master their bodies, they will most likely want to upgrade to a “big kid” two-wheeler, so you may have to replace it after a few years. Nonetheless, that is a decision you have to make as a parent. Finally, the material used in a scooter can tell you a lot about the quality and craftsmanship. For example, a steel or aluminum frame will last much longer than plastic, and could potentially be passed down through your kids. Conversely, plastic is lighter and easier to manage, not to mention more cost-effective. Ultimately, it will depend on how long you want your child’s scooter to last. When comparing these different scooters, you have to make a decision as to whether you want a convertible model or a standard one. I prefer the convertible scooters as I think that they offer more fun for your kids, but not all children like them, so it will depend on your situation. Overall, my top picks out of these options would be the Globber or the Razor Scooter. Both of these are very well built and will last for years, potentially giving you the opportunity to hand it down to your younger kids as they get older. Overall, though, each of these scooters is highly rated and will provide your little ones with hours of entertainment.